Google has just joined in the website domain provider industry since 2014 under the name ‘Google Domains’ but already built its own reputation. Google Domains is a domain registrar which is owned and operated by Google. It allows you to register, claim and manage domain names. Google’s purpose is to provide technology ventures and small businesses an opportunity to run an online business with a domain name. 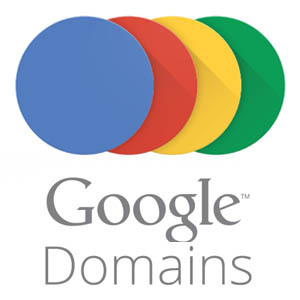 Google Domains makes the progression of getting a domain name become transparent and simple. It is super easy to utilize, cheaper and also goes along with additional services to access website host services. In the following section, we are going to analyze the advantages and disadvantages of Google Domains with a hope of helping new enterprises who are interested in running an online business have more knowledge in this field. Let’s scroll down! If you are installing your own website with a hosting provider, your nameservers are displayed directly in the domain menu. It’s one click. But it’s more than just one click on a clear interface – even developed functions are simple to find and operate. If you want to leave Google Domains, it will be super easy to unlock your domain (something that other domain name registrars make quite complicated). Updating addresses and discovering your billing history is simple, too. Since Google Domains utilizes your Google Account, it is easy to pay and have the maintenance (it pulls from your email and Google Wallet information). Simplicity is a Google Domains’s discipline and they are trying so hard to maintain that slogan among users. With Google Domains support, it is easy to use interface that goes with people who are not experts in technology. That feature also goes on the technology of other Google products like Gmail, Chrome or Docs, so if you utilized any of them before, it becomes much easier to use now. Google Domains keeps the same price $12 per year for each top-level domain (TLD). Their pricing across the board is not the cheapest, but a pair of dollars more expensive per year than NameCheap. And they do not have a short-term discount like GoDaddy. Nevertheless, Google Domains does bundle Privacy Protection with all of their domains. GoDaddy and NameCheap both have this choice as an upsell. So, although Google Domains is not the least pricey, they do offer a solid total value pricing – and they are very clear on what its clients are getting. Google Domains supports users to register for many Top-Level Domains (TLDs), you can also renew the domain name by hand or install an auto-renewal for the domain name. The notification for auto-renewal will be sent to you via e-mail as soon as possible. You can also reserve the domain name for ten years in advance through Google Domains. It does not provide any complementary products and it only functions of domain registering. It will only lead you to other websites if you have any further web hosting needs. Google offers a 24/7 email and chat support system, which is great for someone who is always online but most of the time it is impossible. Also, they do not provide a direct conversation but give users a form to claim your issue and someone from customer support department may contact you later. This causes some inconveniences because of time differences and network issues, in some situations, Google support staffs are unable to reach a person with a domain problem. Because every domain registrars offer the same domain names, the cost is a big factor when they make up their mind. Google Domains does not offer any promotional prices for the first year; their standard price begins at $12 for the first year and $12 each year for the following renewals. Other domain registrars like Namecheap and GoDaddy offer promotional discounts for the first year and are less expensive than Google Domains. Google has launched Google Domains in beta form. They are working on client feedback and reviews to have the best version of their product and develop it to other countries. It is currently available for users in France, India, Brazil, Canada, Indonesia, Spain, Thailand, Japan, Mexico United Kingdom and the United States of America. For users outside these regions, they can still control their domains through Google Domains. Google is working to expand their network and will be present in other countries in the near future. Selection of country TLDs is an inconvenient process in Google Domains because they ask for a search console to tell the specific country you are registering a domain name for. Besides the massive benefits Google Domains brings to customers, there is a bunch of drawbacks that users have to face when using this service. So, you should make it as a consideration in terms of choosing the most suitable domain name provider for your website.